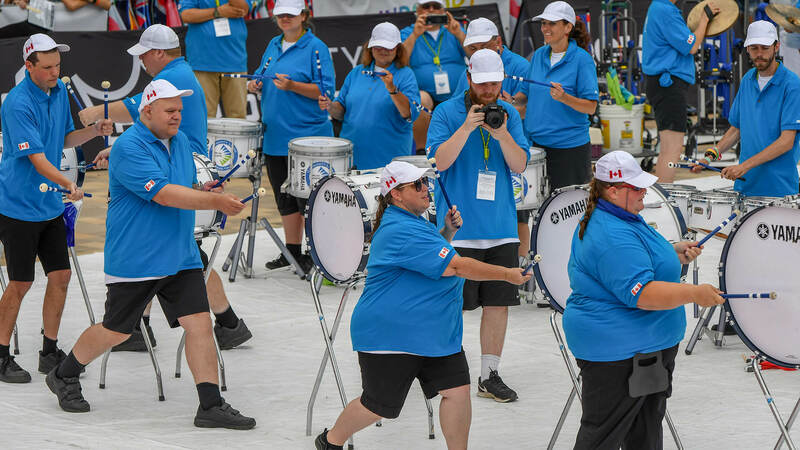 The thunderous sounds of drumming permeated the downtown area of Indianapolis on Saturday, August 11, just a few hours prior to the start of the DCI World Championship Finals and long before the finalist corps got off their buses to warm up for the season’s grand finale. 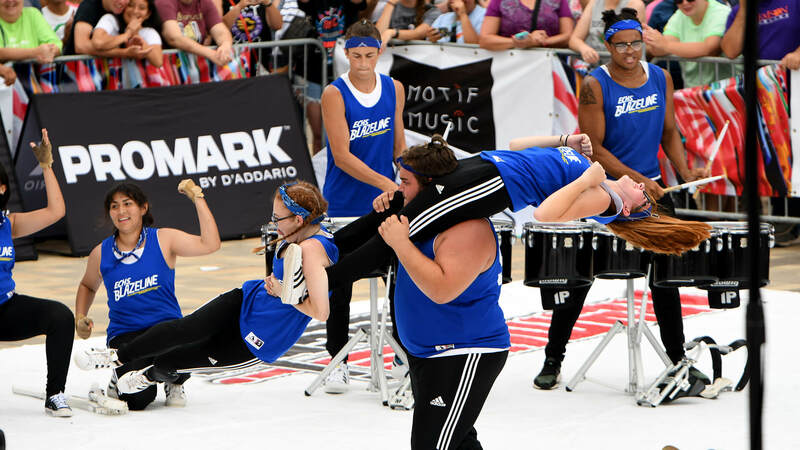 The annual SoundSport International Music and Food Festival brought hundreds of fans to Pan Am Plaza in downtown Indianapolis to witness, among other attractions, the final DrumLine Battle performances of the season. The beats of the drums filled the air and rattled the rib cages of all in attendance, celebrating the joy of drumming that transcends all earthly cultures. A standing room only audience as over-flowing with enthusiasm, screaming approval for all units in attendance. Each of the ensembles brought a different kind of attitude and faced off its competitors in direct competition for the love of the audience and approval of the judges. 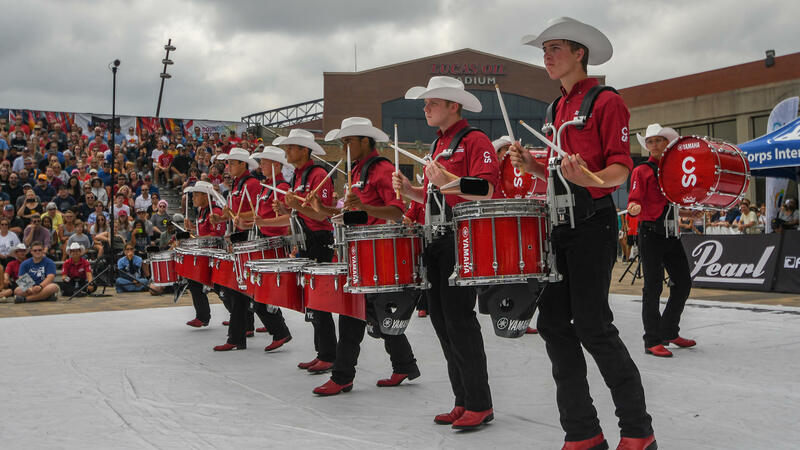 When the dust settled, the 11 members of the Calgary Stampede Showband Drum Line of Alberta, Canada walked off with top honors, beating the finalist line from Elkhart Central High School of Indiana. While the members of the lines bring an extensive amount of attitude to each performance, they still respect and admire the other lines, as pointed out by Will Branch, a drummer with the runner-up Elkhart Central High School BlazeLine. Raiders won the consolation battle with Hamilton Community Living, as determined by the three judges who observe each of the bracket-style performances from just feet away. Brad Bell has been the DrumLine Battle emcee and announcer since the event’s inception in 2013.